Kickboxing is a great way to burn calories, build muscle, and lose weight. It is one of the few workouts that provides all of the benefits of resistance training with a cardio workout that burns a crazy amount of calories. It’s more than that, though. Take a look at all of the benefits of kickboxing. 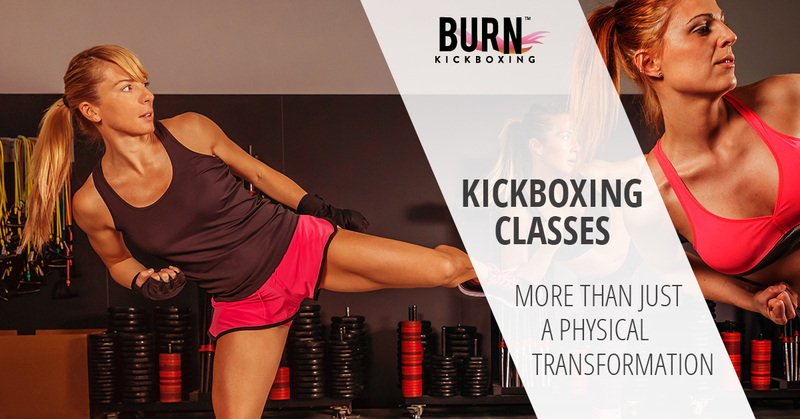 Then join a class at Burn Kickboxing in Syracuse and try it out for yourself. We think you’re going to love it. Kickboxing really is for almost anyone. And while it isn’t considered a low-impact workout, you can modify your routine to lower the impact on your joints. Just talk to us about your concerns, and we’ll make sure you’re working out at a level that won’t push you too far beyond your limits. If you’re looking for a great way to reduce stress, we don’t think you can do better than kickboxing. The discipline required means that you have to be present, focused on exactly what you are doing in the moment. There’s no room for your mind to ruminate on the difficulties of your day or worry about tomorrow. This forced mindfulness reduces stress. Plus, who doesn’t love to hit stuff? Taking out your frustrations on a punching bag sure is more productive than taking them out on yourself or your significant other. And you’re going to be so tired at the end of your workout that you won’t have the energy to be stressed out. If we don’t continue to work on balance and coordination, we’ll lose them as we age. The good news, though, is that no matter how bad your balance and coordination are getting, they are two things that you can always get back. It is never too late. You can’t reduce all of the effects of aging, but you can keep your balance and coordination, and kickboxing can help you do it. Confidence comes from the inside out. If you stick with your kickboxing routine, you are certainly going to look better from the outside. But, the real confidence boost comes from how you feel on the inside. You’re going to be mentally and physically stronger. And that’s going to show in every part of your life. Wouldn’t you like to climb those stairs up to your third floor office without getting winded? How would you like to have enough energy at the end of the day to take a run with the dog instead of just plopping down on the couch? And imagine if you could lift, push, pull, and carry all of those gardening supplies and implements all day long without getting fatigued. Whatever your endurance goals, kickboxing can help you reach them. It will help you become stronger and more flexible. And, it is one of the best workouts you can do if you want to improve your cardiovascular endurance. You are going to be huffing and puffing through your workouts as you push yourself harder and harder, and your heart is going to thank you for it. Did you know that we shrink as we age? Yep. We get shorter. Strengthening core muscles helps keep our spines straighter, improves our poster, and keeps us walking tall as we age. And everything you do in your kickboxing workout, from uppercuts to jabs to roundhouse kicks, all require a very strong core. You’re going to be building core strength with every single movement. Kickboxing requires a lot of discipline. Whatever level you’re at, it is imperative that you focus on your form. Performing each move correctly is the only way to get the benefits you want from your workout. More importantly, it’s the only way to ensure that you don’t injure yourself. Once you realize how much you can accomplish with a little bit of discipline, we’d be really surprised if it doesn’t spill over into other parts of your life. You don’t need to add anything extra if you are kickboxing three or four times a week. Your workout should include a stretching routine at the beginning and end, so you’re covering all of your physical fitness bases. If you aren’t convinced yet, we invite you to come by Burn Kickboxing in Syracuse and give it a try for yourself. You’ll never know until you try. We look forward to meeting you.